On the agenda for the coming year is tax reform, in line with the government’s pledge to overhaul the system by the end of 2014 so that it can become a full member of the World Trade Organization (WTO). Prime Minister Christie also spoke of his wish to create a National Economic Council to devise a strategy for the country’s growth, and said that the government would focus on strengthening public expenditure management, ensuring accountability and eliminating waste. 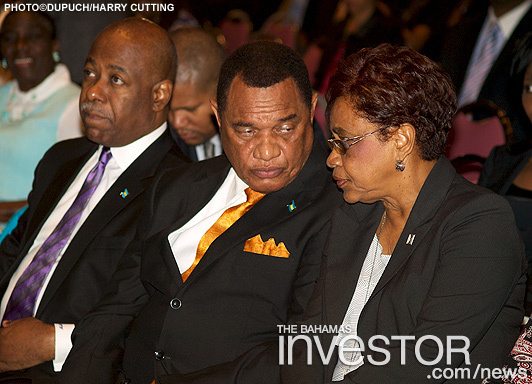 The Bahamas Business Outlook took place at the Wyndham Nassau Resort Thursday. Additional speakers included chief executive officer of the Bahamas Financial Services Board, Aliya Allen, chairman of the Grand Bahama Port Authority Ian Fair and president of Atlantis International Bahamas George Markantonis.